Located in Lincoln, Maine, Lincoln News serves a weekly readership of nearly 6,300 households with an up-to-date look at local events, advertising and newsworthy information that can affect our small New England community. 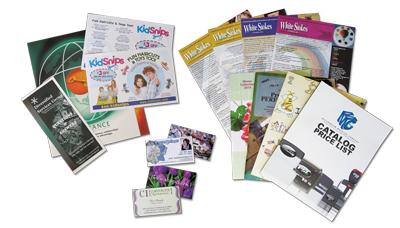 We are also home to Lincoln News Print Services - a full service printing and design facility that goes head-to-head with some of the larger printing companies in New England, and provides the same, exact production capabilities and quality work at a fraction of the cost. We invite you to give us a call or email us so that you can compare what you're used to paying and what you COULD be paying by switching to Lincoln News & Lincoln News Print Services. LINCOLN – Less than 24 hours after Howland selectmen unanimously voted to hire David Lloyd as their next town manager, the longtime Lincoln public works and airport director decided to keep his current job. Lloyd said on Tuesday afternoon that Lincoln had made a counter-offer to Howland, which he accepted. He also said that he talked to Glenn Brawn, chairman of the Howland selectmen, about his change of heart. At Monday’s selectmen’s meeting, it was announced that Lloyd would start as Howland’s town manager on May 13, succeeding David Wilson, who will become Guilford’s next town manager next month. Lloyd was set to sign his contract with Howland on April 29, according to the motion made at Monday’s meeting. Separately, Lloyd said in an interview that his scheduled last day in Lincoln would have been May 2. HOWLAND – Howland has a problem with infiltration into its sewer system that must be addressed, selectmen were told Monday night. The board agreed to take the first step in the process during their regular meeting, agreeing to hire a company to examine the town’s sewer pipes with a special camera system to try and see where the extra water is coming into the system from..
MATTAWAMKEAG - Town selectmen will be seeking more bids to replace the fire departments fuel tank, citing a current estimate as too expensive. “I think that price is ridiculous,” Selectwoman Gail Seavey said during Monday night’s regular meeting. “You can go buy an oil tank like this, double barrel, and it is gong to last you 20 to 30 years, for around $500.” The town is seeking to replace the aging tank in the fire station, which recently developed a leak. Davis Welding submitted a bid for $5,318 to construct a new tank, modify the existing stand to support it, and to remove the old tank. LINCOLN - A boat that set sail on the high seas caused alarm Sunday after a passing motorist spotted the vessel as it floated down the Penobscot River. Local firefighters launched a water rescue at 10 a.m. from near the Access Road Bridge, but were able to determine no one was in danger. “The boat washed off shore and into the river,” Captain Cory Stratton of the Lincoln Fire Department said Tuesday. LINCOLN – The Lincoln Sanitary District will have to spend more time and money testing the compost it produces to meet new state and federal environmental rules, the district's superintendent explained last week. Superintendent Scott Hesseltine told the district's board at its April 11 meeting of a memo sent by David Burns, the acting director of the Maine Department of Environmental Protection's bureau of remediation and waste management, to facilities like the Lincoln Sanitary District that produce compost or process sludge in the state. HOWLAND – While state and many local offices were closed on Monday in observance of Patriot's Day, Howland's town office remained open. Monday could mark the last Patriot's Day that the Howland town office will be open, as selectmen voted 2-1 to give all non-exempt employees the day off in future years. Patriot's Day commemorates the Battles of Lexington and Concord and the Battle of Menotomy, which all occurred on April 19, 1775, the first battles of the Revolutionary War. Town Manager David Wilson noted that Patriot's Day was included on a list of holidays recognized by Maine. LINCOLN - As the school year approaches its end, multiple state and local agencies will be joining forces with high school volunteers in a program that serves a somber reminder of the dangers of distracted driving and operating under the influence. On Thursday, April 25, Lincoln Public Safety in a joint effort with RSU #67 will be hosting the Every 15 Minute Program. “It is an event conducted every two years with the juniors and seniors of Mattanawcook Academy to deter and educate students of the seriousness of their actions,” said Detective Mark Fucile of the Lincoln Police Department. LINCOLN - Local authorities found more than they were searching for last week when an attempted warrant arrest uncovered narcotics. Detective Mark Fucile and Officer Glenn Graef of the Lincoln Police Department were attempting to track down Kayla Black, 25, at her 580 West Broadway Apartment for a no bail warrant for theft and forgery. LINCOLN - A local woman has been charged following a candy theft at a local discount store. Nancy Johnson, 49, has been charged with Class E Theft by Unauthorized Taking after the Marden’s Loss Prevention Manager spotted her concealing “crunchy candy” and other items before exiting the store without paying. LINCOLN - A early morning drive with a malfunctioning headlight resulted in an arrest of a local man Saturday. Tanner McCarthy, 22, was allegedly traveling to the Circle K at 3:34 a.m. when police noticed a headlight out. “When the driver switched from high to low beams, Detective (Mark) Fucile noticed the passenger headlight was out,” Public Safety Director Dan Summers said Tuesday. Fucile, who was working patrol, was stopped at the intersection of Penobscot Valley Avenue and Enfield Road when he saw McCarthy approaching. When the driver turned down the road beside Fucile, the police officer decided to follow him. MILLINOCKET—During the Paul LePage administration revenue sharing was lowered to 2 percent in 2015 which left towns short on expected revenue income from the state. Previously, the revenue sharing had been at 5 percent. Governor Janet Mills proposed during the State of the Union address to bring back revenue sharing to the 5 percent level. Legislative hearings are entertaining restoring the revenue sharing to 5 percent as the Taxation Committee entertains four bills that would effectively do that if passed by the legislature, according to the Manager’s Report at the regular council meeting on Thursday, April 11. MILLINOCKET—A Lincoln woman was arrested last week for allegedly having a loaded pistol in her possession while going through security at district court in Millinocket. Elizabeth Kimball was released upon posting bail following her April 8 arrest on a charge of unauthorized possession of a firearm in a courthouse, which is a Class D criminal offense. She is scheduled to appear June 5 in Millinocket District Court to answer to the charge. MEDWAY – The “fluke” winter is already impacting budgets for next year as the Medway Board of Selectmen had to solicit bids for more sand in order to be ready for winter 2019. Public Works Director Greg Hale said normally he has enough sand to mix and set aside but this winter, which he described as a “fluke” when presenting his budget, exhausted his supply and then some. As a result the board accepted a bid from Ben Fiske and Sons for sand at $8.98 per cubic yard for a requested 2,500 cubic yards. The $22,450 price tag, which was the low bid, is about $1,500 more than Hale had budgeted so selectmen said they would adjust that budget line accordingly. Selectman Emery “Jeff” Lee IV said this winter has been hard on budgets and everyone hoped it was an anomaly and not what we can expect. MEDWAY – With budgets still being fine tuned and no decision yet on employee raises (with the exception of the mandated minimum wage increases for hourly employees), Administrative Assistant Kathy Lee said as currently presented the municipal budget is up about $140,000 which equates to about two mills. Kathy Lee also added that that’s assuming state revenues stay the same as last year. She said there is talk in Augusta of fully implementing state revenue sharing which would about double what the town gets now ($117,000 x 2) but because the town passes it’s budget before the state passes it’s budget it is unknown if that money will actually be in the state budget. Kathy Lee said obviously if the revenue sharing is increased it will directly impact and reduce the mill rate, however, Maine Municipal Association (MMA) is advising municipalities to be conservative and not budget in the anticipated revenue increases just in case it doesn’t happen or less money is approved. BANGOR—A 36-year old Millinocket man is standing trial this week on a manslaughter charge stemming from the 2015 death of an infant who was found unresponsive at a Millinocket residence. Jessee Mackin is charged in connection with the death of 6-month old Larry Lord, Jr, who died May 7, 2015 at a Bangor hospital two days after he was found unresponsive at an apartment on Katahdin Avenue. Mackin’s jury-waived trial began Tuesday before Justice William Anderson in Superior Court at the Penobscot Judicial Center in Bangor. The trial is expected to be completed later this week, and there is no timeframe on when Anderson will issue his verdict. Mackin faces up to 30 years in prison if convicted of manslaughter, which is a Class A felony offense as defined by Maine law. He was indicted on the charge in February 2016 by the Penobscot County grand jury and has been free since posting $25,000 cash bail on March 1, 2016 less than a week after he was arrested. EAST MILLINOCKET/MEDWAY—The East Millinocket Police Department has been approved to use a Maine Department of Transportation radar speed trailer as part of traffic enforcement efforts in East Millinocket and Medway. According to an announcement on the department’s Facebook page last week, EMPD applied for and was selected to use a state transportation department radar speed trailer during the next several weeks. MILLINOCKET—A 49-year old Millinocket man was arrested last week on multiple charges accused of trying to flee on foot from police following a fight. Mark Jacobs was arrested on charges of refusing to submit to arrest or detention, assault and disorderly conduct stemming from the April 7 incident. Jacobs was on probation at the time of the incident and was placed on a probation hold. He was transported to the Penobscot County Jail following his arrest and is scheduled to appear June 5 in Millinocket District Court to answer to the charges. MILLINOCKET—A grant from the Maine Department of Transportation will enable the Millinocket Police Department to take advantage of technology to slow down speeding vehicles in the community. Millinocket Police Chief Craig Worster said the department has obtained a programmable speed enforcement sign that will be strategically deployed at locations around town. The unit, which is made by Traffic Logix, is valued at $3,500 and came at no cost to the community and its taxpayers thanks to the MDOT grant. The sign can be programmed to display multiple messages, is moveable and is designed to be mounted to utility poles. It is solar powered with LED lights that shows the speed of vehicles that pass by its location.